Friday was Move-Up Day at my school! Do you have one at your school? For 30 minutes, all of the students visited their classroom and teacher for next year. Since we only have one teacher for every two grades, the kids know for sure who their new teacher will be. So the second graders left, I kept my first graders, and the Kindergartners came to see us! I spent a LOT of time thinking about what I wanted to do for Move-Up Day. I wanted to give the Kinders a little taste of what we do normally, I also wanted to work in a few of our procedures, and I wanted us to have some fun too! When the Kinders first came in, the first graders showed them the carpet area where we sit for read-alouds and found a spot for each of them. They even offered to share their own spots! I didn't even talk to the first graders about being polite and welcoming - they just did it on their own! First graders, I love you so much. Then we went over our rules, which are based on the Whole Brain Teaching rules (a few are adjusted). We taught them the hand signals and very briefly discussed each one. 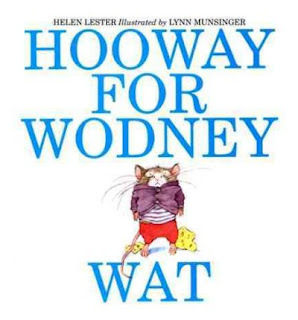 Then we moved into the main attraction... one of our FAVORITE read-alouds this year - Wodney Wat! The first graders cheered with joy! The Kindergartners just sat quietly (they really took the rules to heart!). I read the book, using my very best Wodney voice - which is award-winning, or so I've been told. 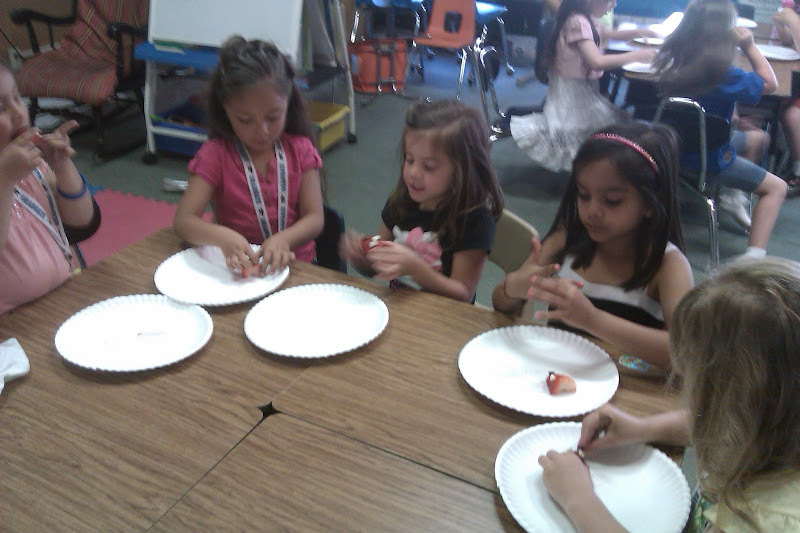 :) The Kinders did not understand the funny parts at all, so the first graders and I had explain every page, haha. At the end we talked about how you shouldn't make fun of people for how they talk and that we should be nice to everyone! They all were cool with that idea. And here we are, first graders and Kinders, together! I know I only had the group together for 30 minutes, but if first impressions mean anything, next year is going to be A-MA-ZING! I wish we could have a a move-up day. I love that book, thanks for posting about it and the activity. YAY for Move-Up Day. I've pitched the idea at my school though we're set up quite differently with anywhere from 6 to 8 classes at each grade level. What a nice way to launch them into summer! Thanks for sharing; fingers crossed that your first impressions are SPOT ON. I love Wodney. We still talk about him and Camilla Capybara. They are such great examples for my kids...who they should strive to be like and who they should avoid being like. Our move up day is on Tuesday. However, we don't get our new classes. We just talk to a class from the grade level below about our grade level in general. Move up day sounds so cute! This is such a great idea! I am going to have to mention this to my team to arrange this for next year. I am sure the students love it. It is such a great experience for them. THanks for posting about it.